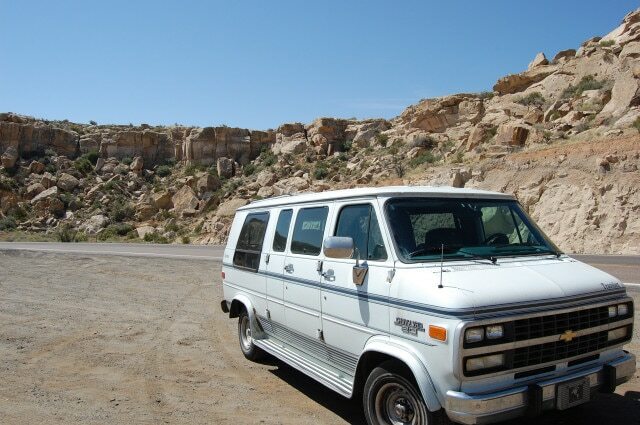 It’s been one year since my travel van was set on fire and destroyed. So this is an appropriate time for a photo retrospective, to think back on all the good times we had. 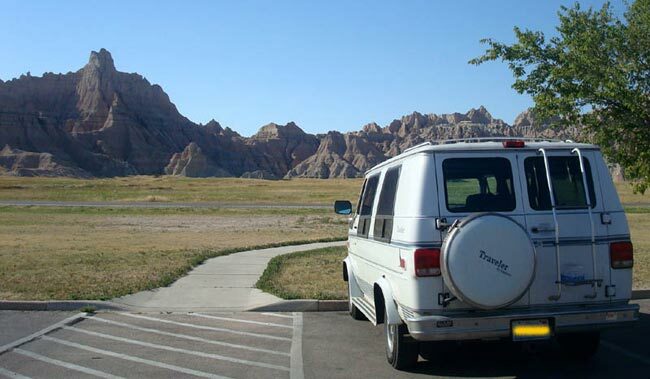 One of my favorite van trips was to the Badlands of South Dakota, where we saw the crazy rock formations and got to see prairie dogs and bighorn sheep up close. We went to the highest point in the Badlands to check out the scenery. Then we headed over to Crazy Horse, the giant monument that may never be finished. 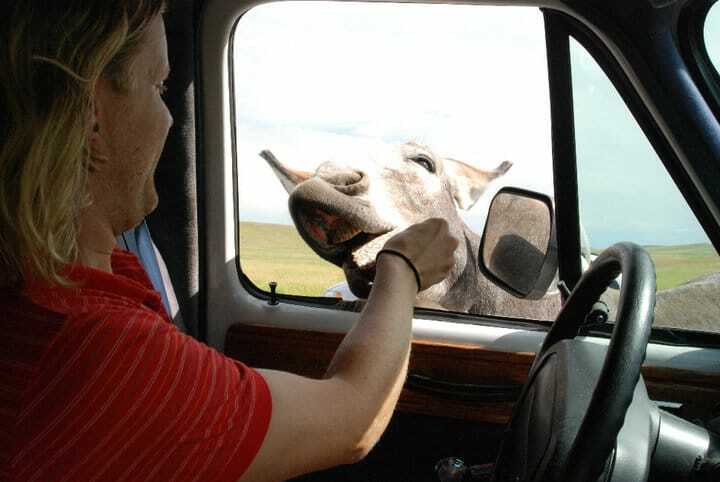 Nearby Custer State Park allowed us to feed the wild burros right through the windows. 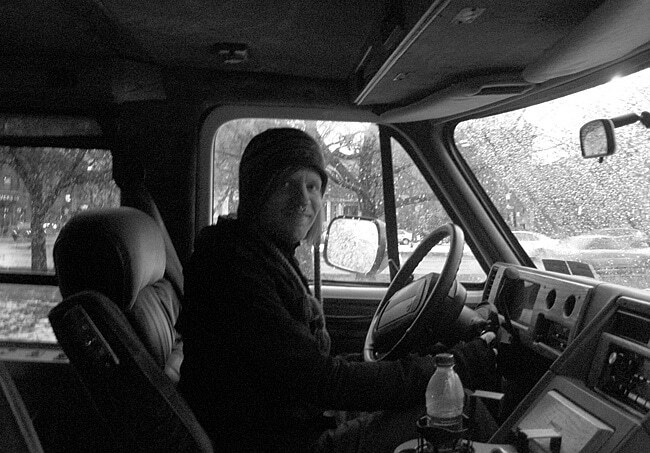 An artsy winter shot of me behind the big old wheel. 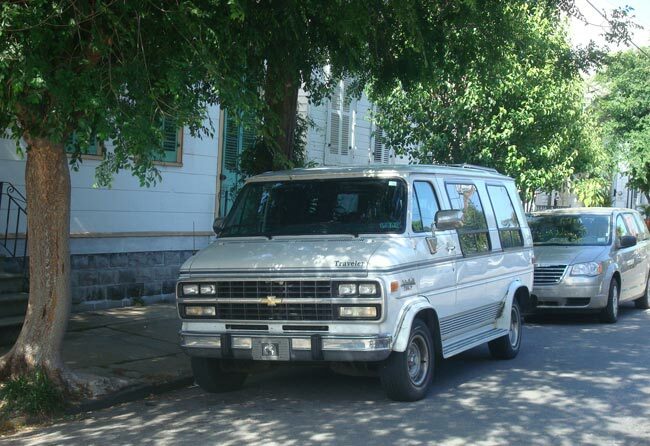 The van settled in nicely in the Faubourg Marigny neighborhood of New Orleans. The first stop on my ’09 summer road trip – Monongahela National Forest in West Virginia, where I saw Cheat Summit Fort, a former Civil War grave site. My first (failed) attempt at a cool standing-on-the-roof celebration pic. 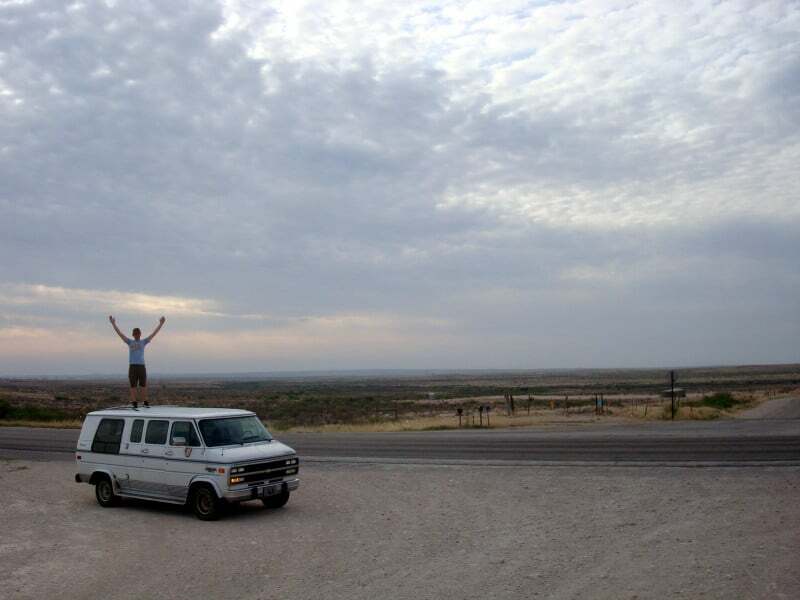 Somewhere in New Mexico. My successful attempt a couple weeks later in Arizona. Much cooler! 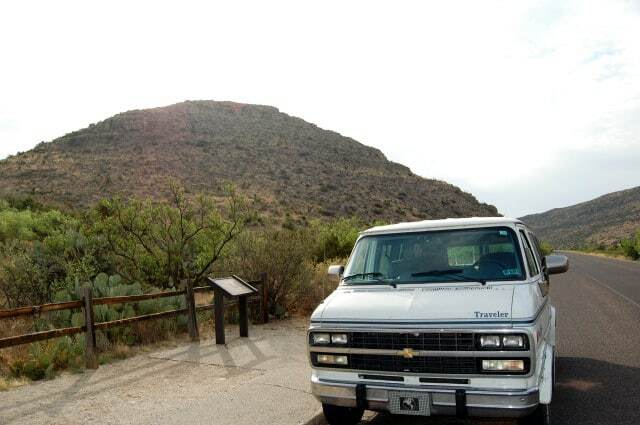 Another rocky Arizona shot. 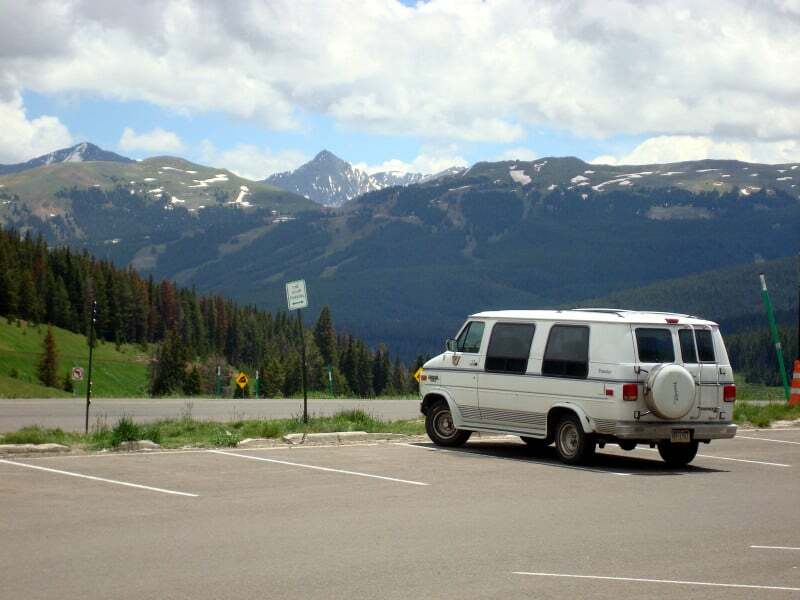 The van enjoyed mountainous scenery. 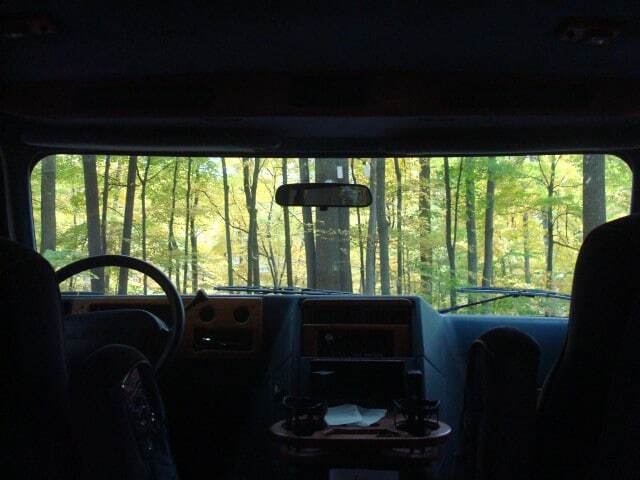 The view from the inside. Taken in a quiet Michigan campground, October 2009. My awesome friend Robin joined me at a campground in Northern Massachusetts. 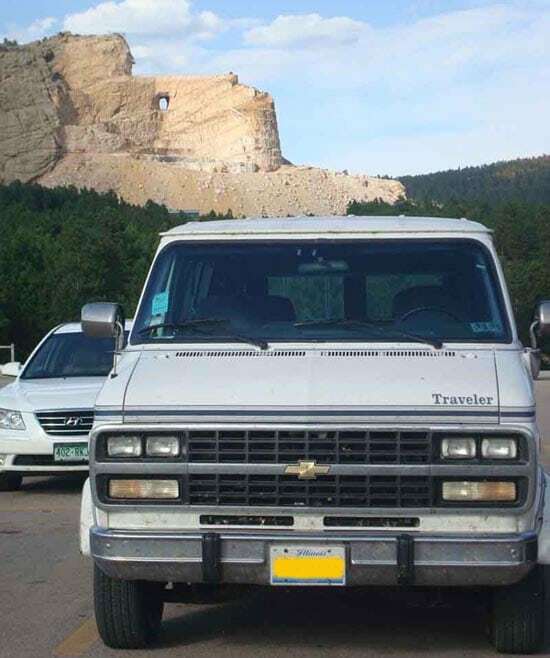 I love cemeteries and so did the van. 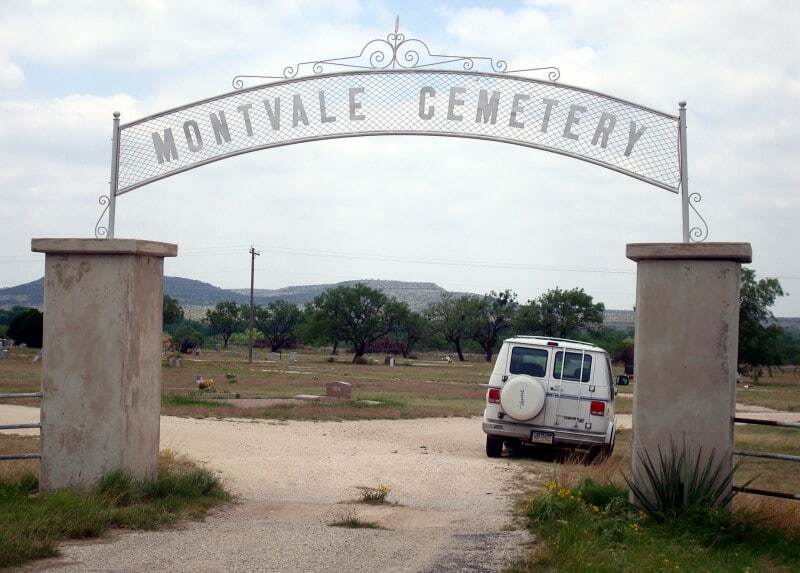 We were fascinated by this small cemetery in the western Texas desert. 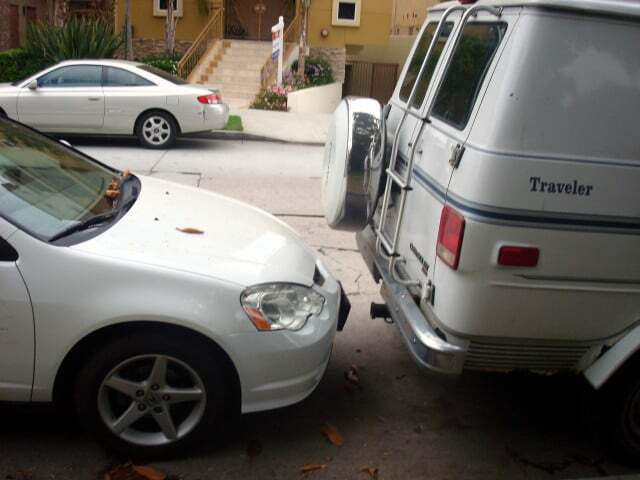 Drivers in Los Angeles park really close. 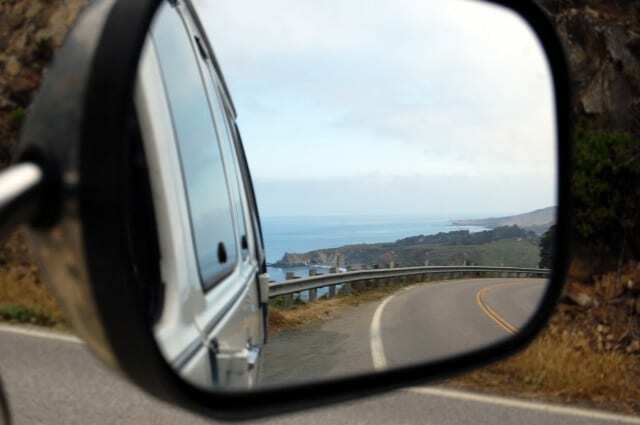 Looking back at the Pacific Ocean on Highway 1 on the California coast. 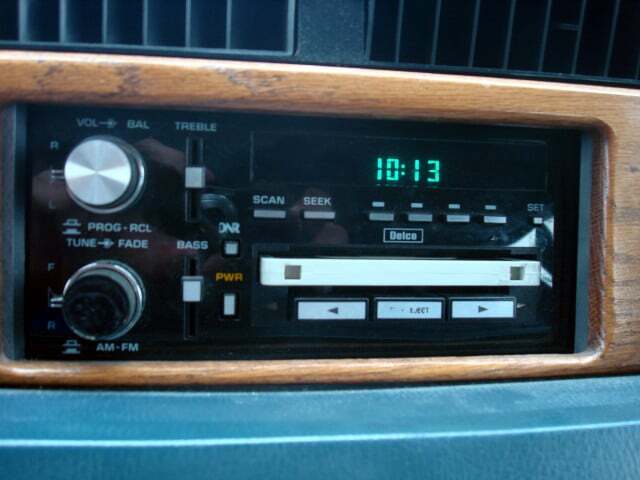 The van didn’t have a CD player, but it did have a good old fashioned cassette deck, which I put to great use by finding tapes in thrift stores. Bison! 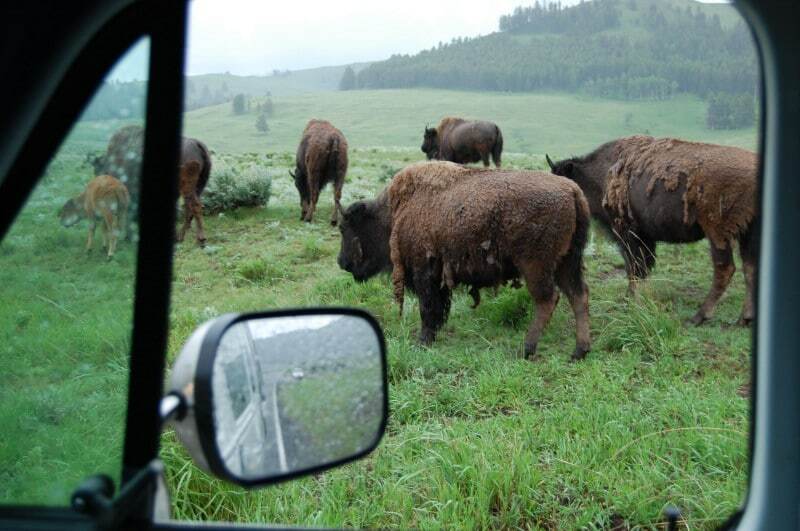 Right outside my window in Yellowstone National Park. 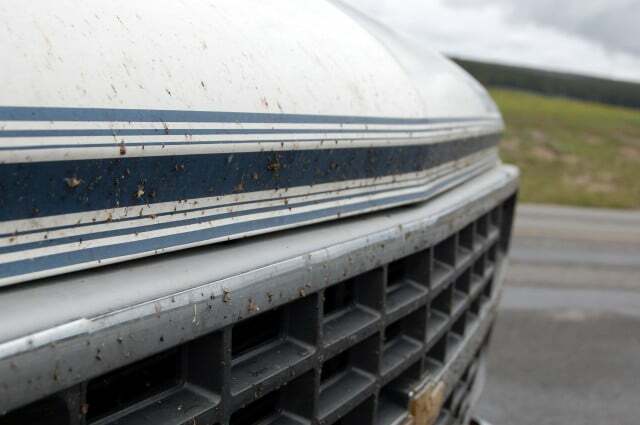 The amount of insect road kill on the front of the van got pretty crazy at times. At 11,000 feet in the Rocky Mountains. 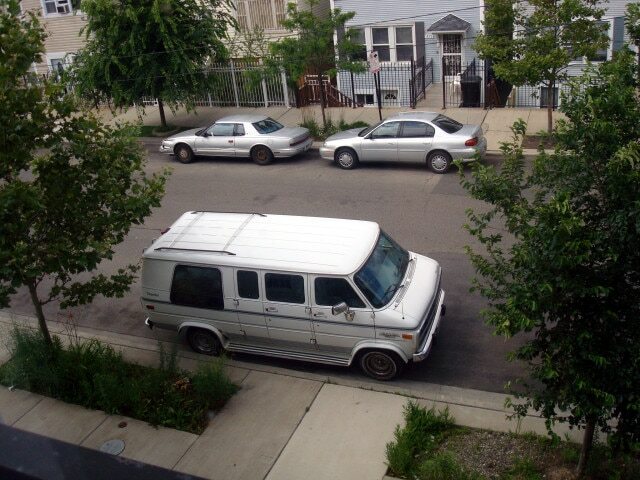 The van from above, parked in the Pilsen neighborhood of Chicago. 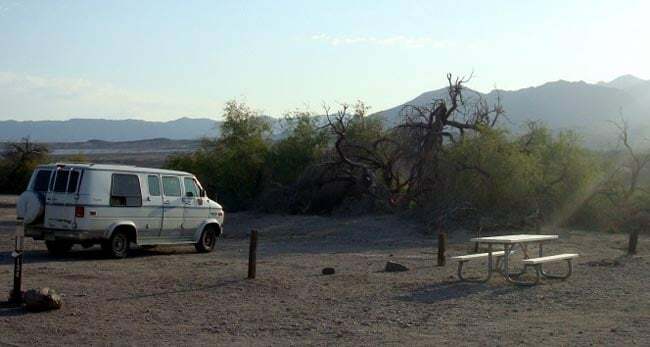 Parked next to the metal picnic table I slept on in Death Valley. 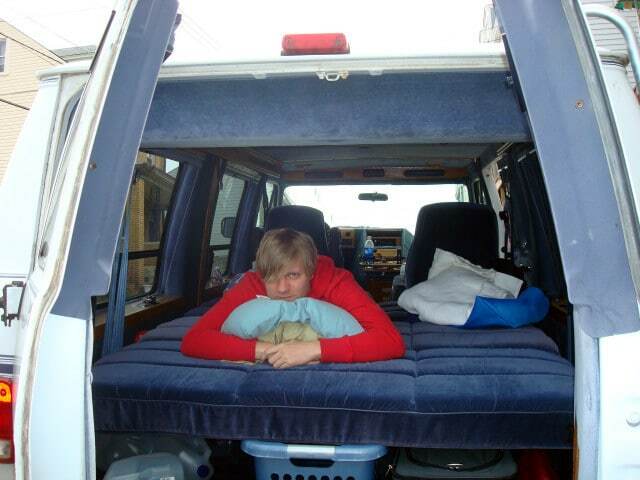 Thanks for all the memories, Magic Van! Not sure, but the link in the post explains the details. Bitter – sweet memories. 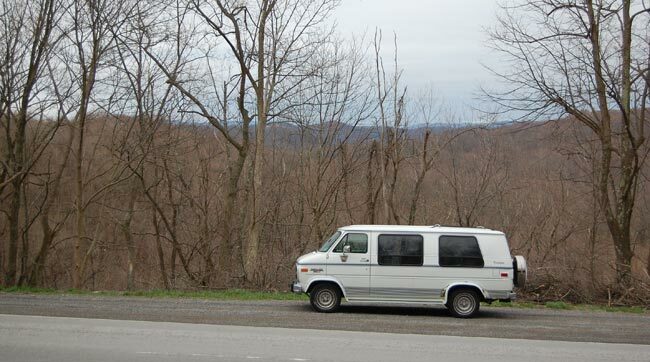 I guess, your van was sort of your friend. Yep, it’s nice to thank back about it. Have you found the replacement you wanted yet? Or still auto-insurance-free? I have not replaced it yet. 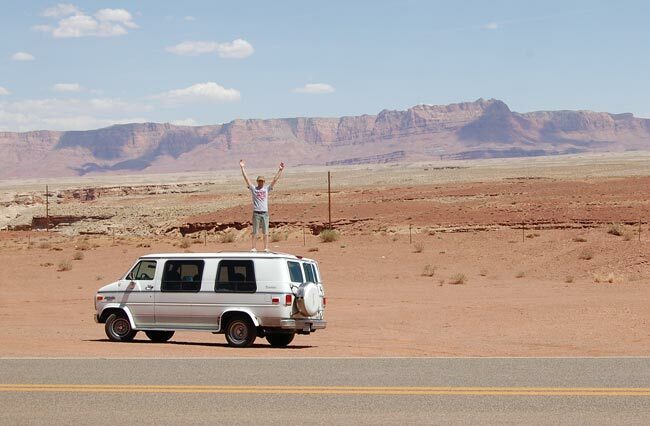 I’ve been slowly saving up, but I keep thinking I’d rather spend my money on travel than a vehicle!